You are here: Home 2014 April Cell Phones “do play a role in development of cancer”. A study which directly linked the radiation from mobile phone transmitter masts with an increased risk of developing cancer was covered up by operator T-Mobile, a scientist has claimed. The Ecolog Institute, a German research organisation which has been examining the effects of mobile phones since 1992, was commissioned by T-Mobile in 2000 to investigate the possible health risks of mobile phone masts. Dr Peter Neitzke, one of the authors of the eventual report, said that when T-Mobile realised that the research was going to produce potentially damaging results, the company immediately commissioned three other studies which were more likely to show no danger from electromagnetic radiation. Neitzke’s study was available only in Germany until it was leaked to the Human Ecological Social Economic Project (HESE) earlier this month. Conclusions from Ecolog Institut in Germany about radiation exposures from cell phones and base stations. The complete study so far is available only in German. 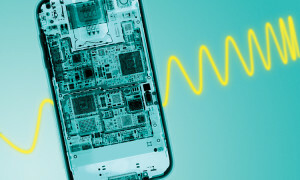 The ECOLOG-Institute, Hannover, has analyzed and evaluated the present scientific level of knowledge on possible health effects of the electromagnetic fields emitted by cellular telephones and their base stations under the criterion of precautionary health protection. The results and recommendations of the comprehensive study carried out by order of the German T-Mobil, in which physicists, medical scientists, and biologists took part, are present now. There are a number of scientific findings from investigations on sub-populations with an elevated exposition to high frequency electromagnetic fields and from animal experiments that have to be taken seriously. These findings point on a cancer-promoting effect of high frequency electromagnetic fields used by cellular telephone technology. Experiments on cell cultures yielded clear evidence for geno-toxic effects of these fields, like DNA breaks and damage to chromosomes, so that even a cancer-initiating effect cannot be excluded any longer. The findings that high frequency electromagnetic fields influence cell transformation, cell promotion and cell communication also point on a carcinogenic potential of the fields used for cellular telephony. Moreover disturbances of other cellular processes, like the synthesis of proteins and the control of cell functions by enzymes, have been demonstrated. In numerous experiments on humans as on animals influences on the central nervous system were proven, which reach from neuro-chemical effects to modifications of the brain potentials and impairments of certain brain functions. The latter effects for instance have been demonstrated by animal experiments and e.g. showed up as deficits in the ability to learn simple tasks when exposed to the fields. From experiments with volunteers, who were exposed to the fields of mobile telephones, there is clear evidence for influences on certain cognitive functions. Possible risks for the brain also arise from an increased permeability of the blood-brain barrier to potentially harmful substances, observed in several experiments on animals exposed to mobile telephone fields. The scientist at the ECOLOG-Institute also found some evidence for disturbances of the hormone and the immune system. High frequency electromagnetic fields cause stress reactions, showing up in an increased production of stress hormones in experimental animals and they lead to a reduction of the concentration of the hormone melatonin in the blood of exposed animals. The latter finding is important, because melatonin has a central control function for the hormone system and the diurnal biological rhythms and it is able to retard the development of certain tumours. The German safety standards for the frequencies used by cellular telephone systems range from 2 to 9 W/m2. These values only limit the warming up of the body due to the thermal effect of high frequency electromagnetic fields to a tolerable degree. From the point of view of the authors they are not suitable to exclude health risks for the public as pointed out in their study. They are therefore not compatible with the principles of precautionary health protection. The ECOLOG-institute recommends not to exceed a precautionary standard of 0,01 W/m2 when siting cellular telephone base stations in the proximity of dwellings, schools, kindergartens, hospitals, and similarly sensitive uses. ECOLOG recommends also that the cellular telephone operators keep this standard on their own immediately and that they not wait for the ratification of the revised version of the federal emission control law. Keeping the standard recommended for the neighbourhood of cellular telephone base stations is not possible with the direct use of mobile telephones at the present state of the art, but in the opinion of the scientists at the ECOLOG-institute a reduction to max. 0.5 W/m2 should be urgently aimed at. They see a special problem in the use of mobile telephones by children and young people, since their organism is still developing and thus particularly sensitive. On the other hand meanwhile many adolescents are regular users of mobile telephones. ECOLOG recommends to stop at least advertising in this sub-population. Additionally special efforts should be undertaken in order to reduce the electromagnetic exposition when telephoning by technical modifications at the telephones. Also by the use of head sets or guarding pockets the intensity reaching the head can be reduced.